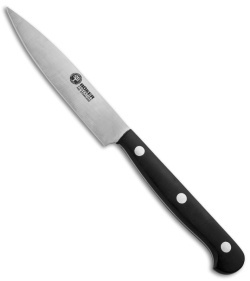 Boker's 5-piece Block Set (by Boker Arbolito) is by far the best kitchen knife value ever seen. 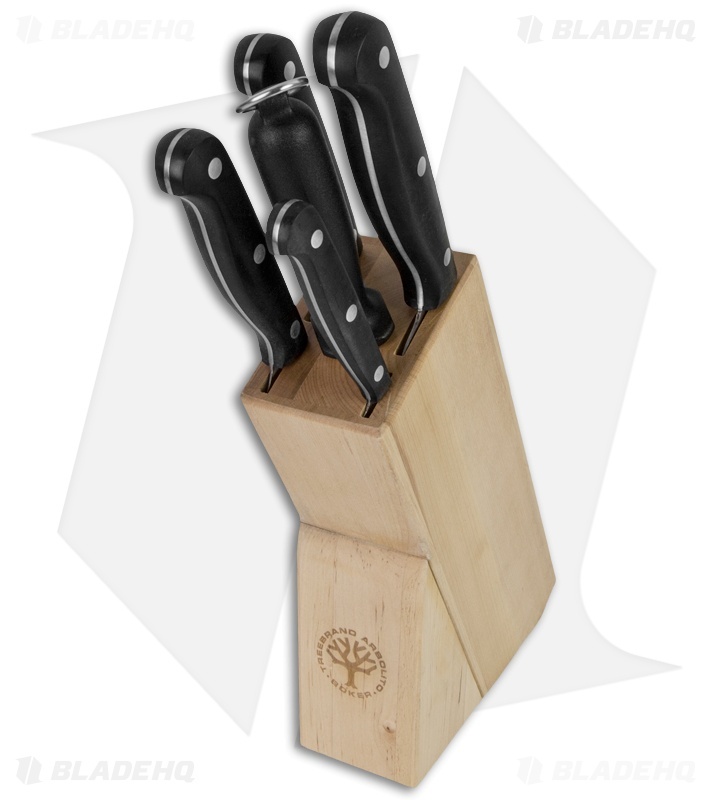 The solid wood block includes one of each of the following: 03BA8308 8" chef's knife, 03BA8307 7" chef's knife, 03BA8305 5" all-purpose knife, 03BA8304 4" steak knife, 03BA8301 sharpening steel. 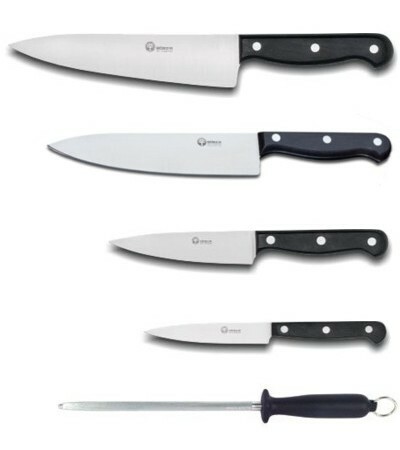 A great value and perfect for any intermediate kitchen. All blades are full tang 440 stainless. Composite handles.